Fenugreek benefits in reducing coughs, mouth ulcers, boils, bilious stomach problems, constipation, joint pains, etc. Moreover, fenugreek, also known as Methi in Hindi, helps lose weight, fight baldness and control diabetes. This herb is native to the Mediterranean countries. Usually, for medicinal purposes, fenugreek (Methi) seeds and fresh leaves are used. The herb can be taken internally or used externally in poultices. In addition, this herb is used as a culinary spice for flavoring foods. It has a bittersweet taste. 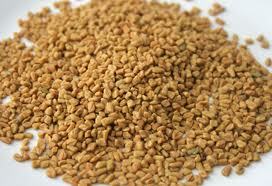 Fenugreek seeds are oblong and yellowish brown. Fenugreek is grown in India, Nepal, Pakistan, Bangladesh, France, Egypt, Spain, Argentina, China, Turkey and Morocco. This plant comes under the family Fabaceae. Fenugreek (Methi) has stimulant, anti-parasitic, anti-inflammatory, aphrodisiac, expectorant, laxative, hepatoprotective and diaphoretic properties. It helps in recovering from illness and infectious diseases causing skin irritation. It helps lower bad cholesterol (LDL) and controls blood sugar homeostasis in individuals suffering from type-2 diabetes. Its 4-hydroxyisoleucine amino acid promotes higher insulin production. This herb also works as a blood thinner and prevents abnormal blood clotting that can cause heart-related illnesses. Plus, it is believed that fenugreek or Methi seeds reduce fatty tissues, thereby aiding in natural weight loss. 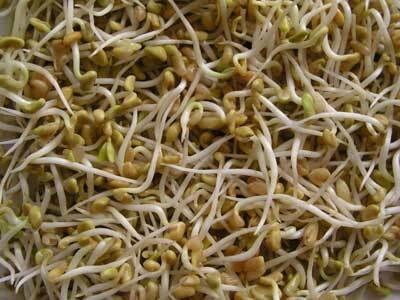 Fenugreek sprouts promote hair growth. Moreover, the herb contains diosgenin that improves libido and is believed to reduce the risk of developing colon cancer. The medicinal herb is loaded with antioxidants, and it works as a mucus solvent to provide relief from respiratory issues such as cough, cold, pneumonia, sore throat, tuberculosis, asthma, bronchitis, sinusitis, laryngitis, and so on. Here’s a video discussing various benefits of fenugreek. It stimulates the immune system and aids in removal of toxins from the body through lymph nodes. Methi or fenugreek benefits lactating women as well because of its galactagogue quality. Besides, it stimulates uterine contractions during pregnancy to induce labor. In addition, it is rich in phyto-estrogens and hence proves useful in alleviating menopausal symptoms and painful PMS. Though not scientifically proven, it is believed that fenugreek or Methi can enlarge breast tissue. 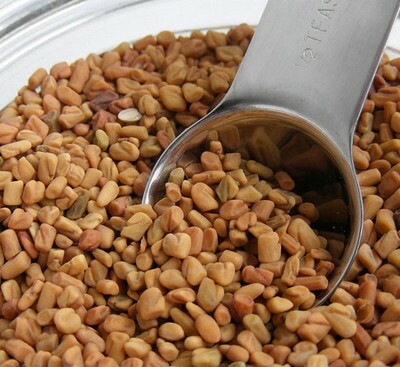 Fenugreek seeds have a soothing effect on skin and mucus membranes. The seeds contain protein, lipids, alkaloids, mucilaginous fiber, phosphorus, iron, calcium, niacin, vitamin C, selenium and various other nutrients. Furthermore, this herb improves digestion and liver function. Traditional Chinese medicine maintains that fenugreek benefits in the natural treatment of kidney-related problems. It avoids kidney stones by reducing the amount of calcium oxalate in the kidneys. • Swallowing a teaspoon of this medicinal herb with before having a meal is considered as one of the simplest fenugreek home remedies for acid reflux. It reduces belching, too. • Mix two teaspoons of powdered fenugreek seeds in milk and drink this solution twice daily for at least one month to assist in the natural treatment of diabetes, especially during early stages. • Drinking buttermilk mixed with half a teaspoon of fenugreek seed powder is a valuable natural cure for stomach ache. • Prepare a decoction by boiling a tablespoon of fenugreek seeds in 300 ml of water until the quantity of water reduces to half. Drink the resultant solution for 10 days to relieve sinusitis. • Gargling with fenugreek infusion, five to six times in a day helps ease a sore throat. It also reduces mouth sores. • Applying a paste prepared from fenugreek leaves or seeds can help heal boils. • When used as a douche, fenugreek decoction assists in the home treatment of leucorrhoea. • Benefits of fenugreek can also be derived by consuming fenugreek tea, which reduces bad breath and body odor. It serves as an appetite stimulant and beaks up excess mucus in the chest. Moreover, regular consumption of this herbal tea lowers blood sugar levels. It soothes gastrointestinal inflammation as well. • Boil some fenugreek leaves and fry them in butter. Finally, eat this therapeutic mixture two times in a day to cure stomach problems. • Mixture of fenugreek seeds and yogurt serves as a good hair conditioner. • Cook some fenugreek leaves in coconut milk and add garlic in it. Consume this fenugreek home remedy during winters to heal Arthritis pain naturally. Similarly, a poultice of steamed fenugreek leaves can be applied on aching joints to get rid of the pain. • When dealing with hemorrhoids, fenugreek sitz baths are highly beneficial. To prepare this remedy you need to mix fenugreek seed extract in cold water. • Having a cup of fenugreek leaves (boiled) along with honey helps relieve constipation. Follow this therapy two times in a day. • Prepare a paste of fenugreek seeks ground in water and apply this mixture on your head. Finally, wash it off after 40-45 minutes to treat the problem of hair fall and baldness. Chewing fenugreek seeds or sprouts helps remove bad breath. Moreover, this culinary spice can be added in pickles, marinades, salads, sandwiches, pasta dishes and soups. It also serves as an appetizer. 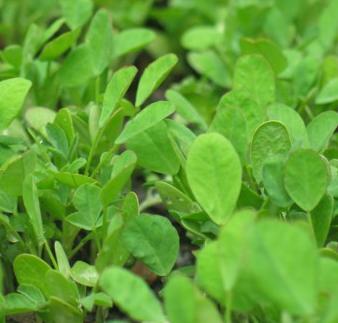 Including fenugreek leaves in the diet helps reduce anemia. However, regular consumption of this herb may make your sweat smell like maple syrup. Fenugreek or Methi can cause allergic reactions like swelling of face, lips, or tongue in certain individuals. In addition, it can give rise to nausea, bloating, gas and diarrhea. Besides, it is suggested to take this herb at a couple of hours before or after consuming a prescribed medication as it tends to interfere with the absorption of other drugs due to its high fiber content. Methi or fenugreek benefits when it is taken in moderation, that is, approximately six grams per day. Useful ideas, thanks for sharing these in this article. Hi..i want to know if i swallow fenugreek seeds in morning before meal,will it help reducing hair fall? thanks for providing me such a precious information. i wants to know further information about diabetic diseases because my mom affected by this disease. kindly give me more effective advices about it. thanks again. I’m impressed by the efficacies of this herbal plant as described in your article. I live in the State of Sarawak, Malaysia. If this Fenugreek plant could thrive in India and China, I’m sure it can survive in Malaysia due to some climate & temperature similarities, right? Otherwise can anyone advise whether this Fenugreek (Mathi) plant is available in Sarawak, Malaysia? You go in any grocery run by Indian, Nepali, Pakistani or Bangladeshi and ask is there fenugreek seek available with u. I think each and every Indian use and have knowledge of it. Second It is called METHI in these countries. If u find bring it then prepare ur field and then sprinkle by hand like paddy seeds in the month of October November. After ten days new plant would Insallah come. U can use its green plant as vegetable or if u want to produce seed then leave it for 2 or 3 months. It will grown up and finally u will get seeds Insallah. It is useful for diabetes.